Shopping network QVC has chosen Simplestream to power its video-on-demand services for its channels in the UK and Germany. 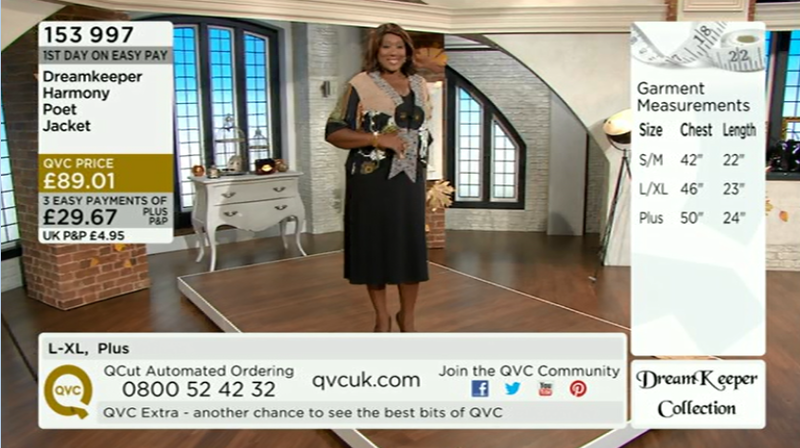 It means viewers can watch all of QVC's channels and product demonstrations online and on any device with a 7 day catch-up on all of QVC's output. QVC has deployed a highly customized version of Simplestream’s Media Manager software, which provides the global broadcaster and retail heavyweight with significant operational efficiencies and ROI through the use of a single system to manage complex multi-channel / multi-territory live streaming, video clipping and “catchup” service across its websites, apps and brands. Multiple Media Excel HERA encoders have been deployed on-site at QVC to provide high-quality, low-latency live streams of up to 16 QVC channels. Multi-bitrate video files are then automatically created from the live streams by Simplestream’s cloud-based Media Manager, which combines the videos with existing EPG data to provide a fully automated 7-day catchup service across all QVC channels. Media Manager provides an industry leading turnaround time of less than 5 minutes; including video editing, multi-platform preparation, metadata addition and content categorisation and tagging. On the front-end, visitors to eitherqvcuk.com or qvc.de are now presented with an interactive video player, including a tightly integrated programme guide and quick-channel selector, allowing viewers to effortless flick between channels and access previously aired programming from within the player itself, including whilst in full screen mode on desktop. Designed to work seamlessly across desktop, mobile and tablet, the bespoke QVC Media Player also offers start-over capabilities, allowing viewers who have missed the first few minutes of a programme or programme demonstration to rewind to the beginning. The ability to pause the live stream allows customers to place their orders in their own time and easily resume their viewing from where they left off. Separate to the broadcast workflow, Media Manager is used by QVC to automate the creation of frame-accurate product demonstration clips, which supplement the detailed product information already available on the QVC websites.Media Manager has been tightly integrated with QVC’s internal product cataloging system, to ensure that product demonstration videos are available online as fast as within 5 minutes from air. An online dashboard provides QVC with complete visibility of the end-to-end workflow across all of their channels. “our work with QVC has been highly complex but equally rewarding as we have replaced multiple vendors across multiple territories with our unified Media Manager solution, providing a powerful video workflow ready to deliver and adapt as consumer’s viewing habits continue to evolve. We are looking forward to extending the solution into other markets and to help QVC extend its reach onto more platforms”.